Remembering Wil Riera And His Photos Of The Elderly In Venezuela : Goats and Soda In poignant and powerful photographs, Wil Riera draws attention to senior citizens in a country teetering on the brink. Riera died this weekend. A resident at the Mother Teresa of Calcutta senior home in Caracas. The people at the home were not reluctant to be photographed, says photojournalist Wil Riera: "They want to share their history, to have a voice." 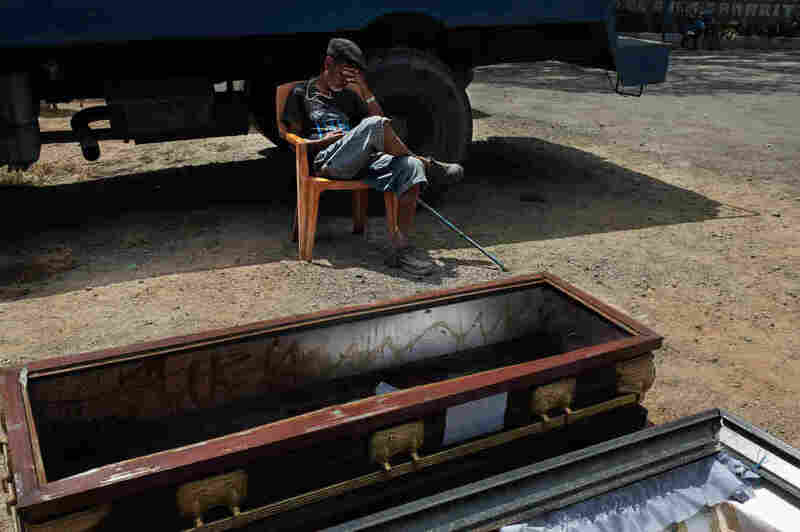 Editor's note: We are updating and republishing this story to take note of the death of the photographer, Wil Riera of Venezuela. Riera, who was born in 1982, died this weekend. He had been recuperating from brain surgeries to correct a congenital disorder that can cause a brain hemorrhage. 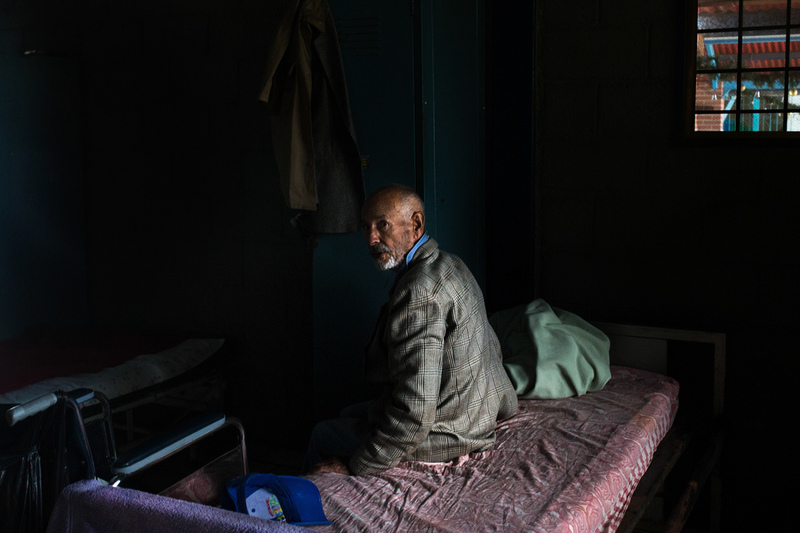 In Riera's story for NPR, he focused on one of his concerns in the ongoing crisis in his homeland: the plight of the elderly. Visuals editor Ben de la Cruz met Riera at a New York Times portfolio review last year. "I instantly liked him and his photos," de la Cruz says. "Wil had a warm and gentle spirit. He's someone who makes you feel comfortable as soon as you meet him. Like an old friend. As I perused his story about seniors in Caracas, he told me that he studied and worked as an engineer in Venezuela but quit not too long ago to learn to become a photographer at the International Center of Photography in New York. "This was a young man who has the courage to follow his dreams, I remember thinking. And I was amazed by his photos. They showed his compassion for the people of his homeland with artistry and sensitivity. I told him that I would love to publish his work on the seniors. He seemed pleased and quietly excited after our conversation. That's how I'd like to remember Wil." Venezuela is not a good place to grow old. As president Nicolas Maduro starts his second term of office, the country is mired in an economic crisis that has brought the health care system to the brink of collapse. The lives of the elderly are more a battle to avoid calamity than a sweet retreat. At least 85 percent of medicines are in scarce supply, according to the Pharmaceutical Federation of Venezuela. "It's too hard to find the medicines to treat their high blood pressure, diabetes and even prevent their epileptic seizures," says Baudilio Vega, who's in charge of the Mother Teresa of Calcutta senior home in Caracas; its 76 residents range in age from early 60s to late 80s. Yet these seniors are the lucky ones among the 2.9 million Venezuelans over age 60. All of them have a comfortable place to sleep and enjoy some meals for free, thanks to private donors who support the home. A resident of the senior home in his room after lunch. As the general crisis has evolved, older citizens often must choose between buying food or drugs for their health. They can't do both due to their insufficient income. Nearly 64 percent of Venezuelans have lost weight since 2016 because they began to skip meals because of the impact of the economic crisis, according to the latest Life Conditions National Survey, "Encovi" in Spanish, an independent census run yearly since 2014 by college professors. The most recent survey of 6,168 citizens revealed that 79.8 percent of adult Venezuelans are now eating less than they were three months earlier. Seventy percent of them said the reason was that they didn't have enough money to buy food. "We are not prepared at all to age here," says Luis Francisco Cabezas, head of Convite, a human rights group that seeks to aid vulnerable citizens. Indeed, Venezuela is the worst nation in South America to age in, according to the latest Global AgeWatch Index, and ranks 76th in a survey of 96 nations. It also has the highest inflation rate in the world. Prices of food and other consumer products went up 1.3 million percent in the year ending in November 2018. Official help falls short. 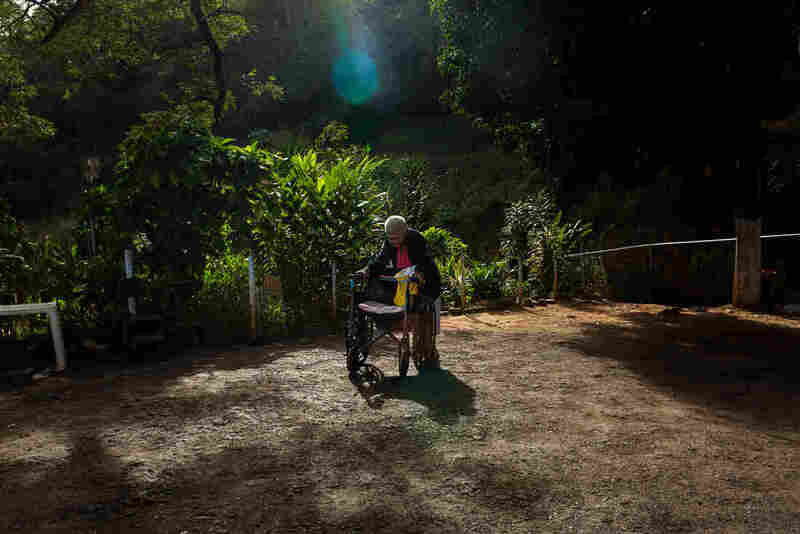 The government pays a paltry monthly pension to only a little more than half of Venezuelan seniors. Thousands wait in long lines at banks to receive the money. Migration has deepened the elderly crisis. An estimated 3 million Venezuelans have fled the country in the past years, according to the United Nations. "Five million more could leave this year and those people would not take their seniors with them, leaving them alone, defenseless, with just a pension that only pays for 0.5 percent of the food basket," says Cabezas. It is, as he puts it, "the most terrible drama." 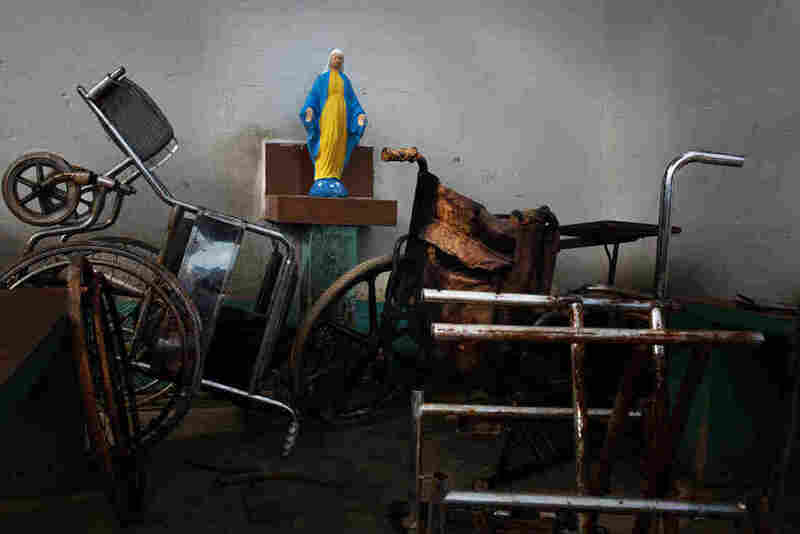 That tragedy is what drew Venezuelan photographer Wil Riera to document the lives of the residents of the Mother Teresa home. "The elder population is vulnerable, and it is good to tell their part of the story," says Riera, 36, an engineer who began his career in photography in 2013 and has contributed to numerous media outlets, including Time, The New York Times and the BBC. A resident stands in front of a Melissa tree. In folk medicine, tea made with the leaves is believed to have healing properties. 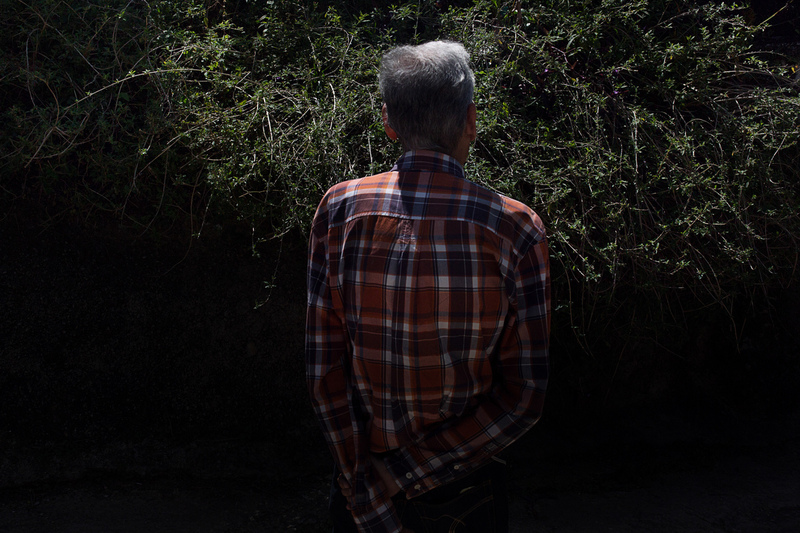 "Old people are forgotten in places like this," says Riera. "The situation makes me feel angry and hopeless." 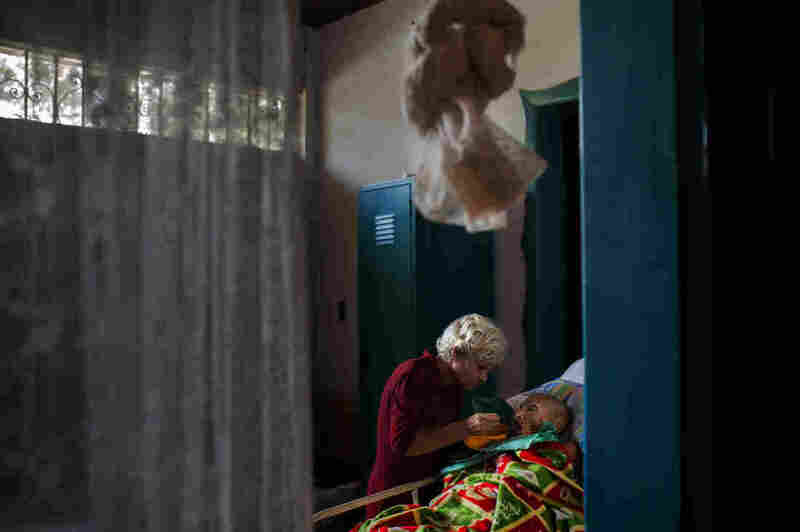 But he does have some hope — that his photos will bring more concern to the plight of Venezuela's elders. Gustavo Ocando Alex is a freelance writer in Venezuela who has contributed to BBC World News and the Miami Herald.